↑ १.० १.१ १.२ Molet, T. 2011. 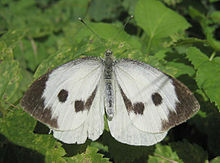 CPHST Pest Datasheet for Pieris brassicae. USDA-APHIS-PPQ-CPHST. ↑ Metspalu, L., K. Hiiesaar, J. Joudu, and A. Kuusik. 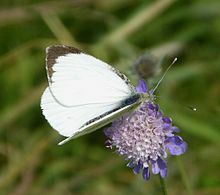 "Influence of Food on Growth, Development and Hibernation of Large White Butterfly." Agronomy Research 1 (2003): 85-92. Print.